Senator Tammy Duckworth (D-IL) announced that she is expecting her second child in April shortly after she turns 50. To say that Tammy Duckworth never let anything get in the way of her numerous accomplishments is an understatement to say the least. Tammy Duckworth is an Iraq war veteran having lost both of her legs while serving as a U.S. army helicopter pilot making her the first disabled woman elected to the Senate. In addition, Tammy Duckworth is the first member of Congress to be born in Thailand and the first U.S. senator to give birth while in office. Only nine other females have had babies while serving in Congress – all when sitting in the House of Representatives not the Senate. During an interview with the Chicago Sun Times this week, Senator Duckworth said that she is almost six months pregnant and that she and her husband had struggled to conceive their second child who is a girl. There first daughter, Abigail, was born in 2014 through fertility treatment while Duckworth was serving in the House. 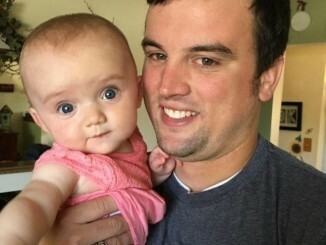 “I’ve had multiple IVF cycles and a miscarriage trying to conceive again, so we’re very grateful,” she told the Sun Times. She also revealed that she miscarried during her successful campaign for a senate seat in 2016. From the moment she came into my office 13 years ago, I knew that Tammy Duckworth was one of the most extraordinary people I would ever meet. Her determination as a veteran with disabilities to overcome grievous combat injuries and lead a full life demonstrated a level of courage which inspires us all. When she told me several weeks ago that she and Bryan were expecting a new baby to join their little Abigail, I was speechless. I have learned to never underestimate Tammy Duckworth. I am proud to have her as my Illinois colleague and prouder still that she will make history by being the first U.S. Senator to have a baby while in office. I couldn’t be happier for her. Tammy Duckworth was elected to the U.S. House of Representatives in 2012, serving two terms before running for Senate. She had previously served as former President Obama’s assistant secretary of veterans affairs and led Illinois’ veterans department before that. 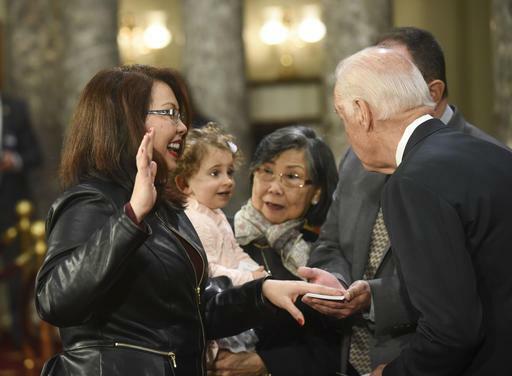 Senator Duckworth is certainly a role model for all young women as she continues to break the glass ceiling for us all.